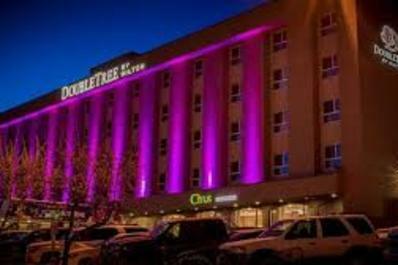 The DoubleTree by Hilton Kamloops offers some of the highest standards in quality accommodation and service right in the heart of downtown Kamloops. Guests are welcomed with the signature DoubleTree chocolate chip cookie before heading to their room to relax and unwind. We offer a fine dining experience for breakfast and dinner at our Citrus Restaurant and Lounge. Needing to stay connected to the home and office or to burn off some energy? Then you'll enjoy our complimentary high speed internet access, lobby computer and fitness facilities that includes an outdoor pool. 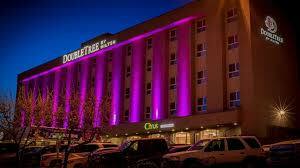 All guest rooms include a 42" HDTV, mini refrigerator, iPod clock radio and in-room coffee.